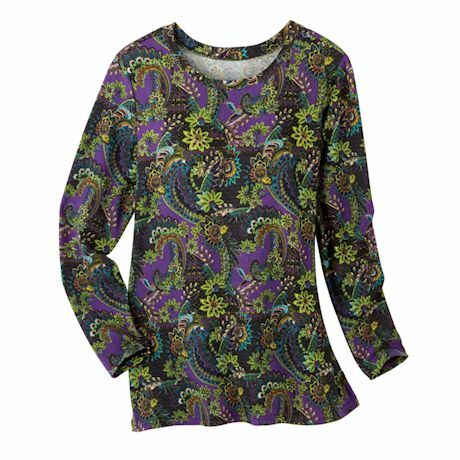 Add a trendy shade of purple to your wardrobe that's powerful, pumped up, and perfectly expressed in paisleys. 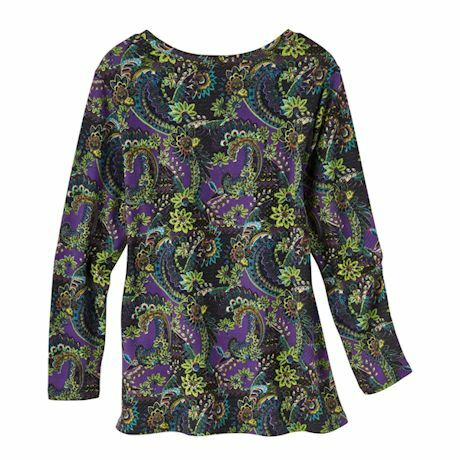 The classic pattern has florals in the mix; soft brushed fabric is tailored into a long-sleeved top with a just-right hint of stretch. Machine wash. Polyester/spandex blend. Imported. S(6-8), M(10-12), L(14-16), XL(18), 1X(18W-20W), 2X(22W-24W), 3X(26W); 30".